After 95 years, the prohibition on cannabis is over in Canada. This country is now the second in the world to legalize recreational marijuana after Uruguay, making Canada the first Group of Seven nation to do so. The Liberal government’s tabling of Cannabis Act legislation in April 2017 came six years after an earlier decision to regulate medical marijuana in the country. Both policy decisions have created an enormous amount of wealth that has propelled a homegrown industry to lead the world in the development and production of this commodity, while still being in its infancy. Companies like Canopy Growth Corp., Aurora Cannabis Inc. and Tilray Inc., to name a few, tout valuations in the tens of billions of dollars, and have enriched shareholders who were unswayed by the stigma or risk of investing in a drug that is still illegal in most countries around the world. And now, bigger multinational companies are wading into the pot space. The two main cannabinoids that constitute the cannabis plant -- tetrahydrocannabinol and cannabidiol -- have lured some of the biggest companies in the world including The Coca-Cola Co., Diageo Plc, and Molson Coors Co. to see what all the fuss is about. For the next six months, cannabis retailers will likely be plagued by product shortages as demand has far outstripped supply, according to a recent analysis by C.D. Howe. Producers are working overtime to harvest their marijuana crops, but consumers will likely grow frustrated by a constant stream of “sold out” signs and return to a black market that policymakers hoped would ebb away, but likely won’t any time soon. Some producers, especially those that have tapped capital markets over the past few years, will have enough cash saved up to weather this storm but others won’t. With more than 120 licensed producers and hundreds more awaiting approval from the federal government, consolidation is seen as an inevitability. Eventually, cannabis will find its place as a commoditized consumable with some nifty by-products, no different than corn or canola. The billion-dollar question will be whether Canada will continue its role as a global cannabis leader. The coming months will be closely watched by other countries mulling their own drug legalization efforts. If Canada gets it right, its move to legalize cannabis will be the blueprint that the rest of the world will follow. Already, several Canadian producers such as Aurora and Tilray have staked their claims in various European countries where cannabis is legal for medical use, a shrewd investment if legalization occurs several years later. But they are also keeping watch on the U.S., the largest potential market for cannabis, which is projected to reach US$23 billion in consumer spending by 2022, or about two-thirds of the global market, according to BDS Analytics. Cannabis is legal for adult use in nine states and decriminalized in 13 others while voters in four states will weigh in on marijuana policy next month during the U.S. midterm elections. 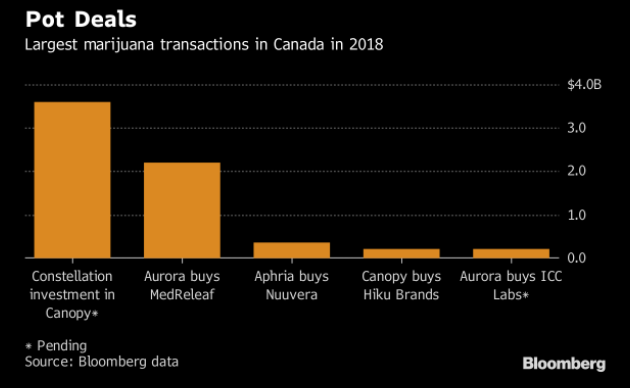 Already, some U.S. companies such as MedMen Enterprises, best known for its luxury-centric retail esthetic, are sprouting valuations that could soon easily dwarf some Canadian producers. And more are coming. Many producers are opting to list on the cannabis-friendly Canadian Securities Exchange, including Massachusetts-based Curaleaf Inc. which plans to list on the CSE with a market valuation of US$4 billion, according to a recent Bloomberg report. 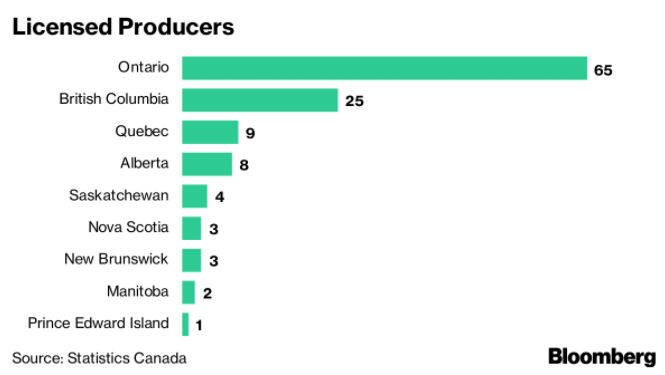 On Monday, investors who spoke to BNN Bloomberg at the Eight Capital cannabis conference in Toronto said they were more keen on the U.S. opportunities than what Canadian firms were doing in the cannabis space. Homegrown producers aren’t taking their U.S. rivals lightly, using some of their newfound capital to acquire them. 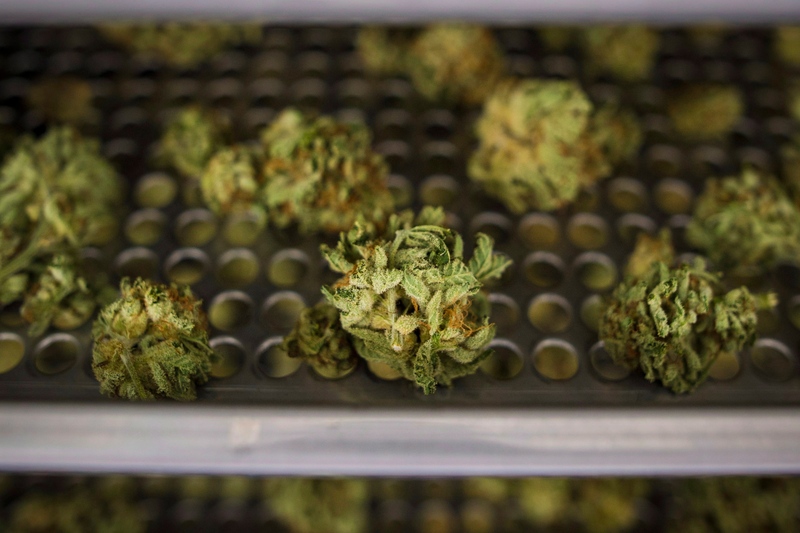 At least 40 U.S. cannabis firms have been acquired by Canadian companies in the first three quarters of the year, according to data from New York-based Viridian Capital Advisors. That’s more than double the 17 deals made during the same period in 2017. All eyes will be on what U.S. President Donald Trump will do in the cannabis space during the next two years. Although the Republican Party has traditionally not supported drug liberalization, Trump’s pro-business attitude may be the antidote to thaw the federal freeze on marijuana laws. On Monday, Republican Congressman Dana Rohrabacher told Fox Business the Trump Administration will soon unveil a plan for federal cannabis reform that may include legalizing medical marijuana at the national level. One of the big questions around cannabis consumption is how it will be treated at the U.S. border. Bloomberg News' Josh Wingrove has the latest from Ottawa. A simple tweet from Trump green-lighting legal cannabis would signal a seismic shift in the direction of capital flow in the North American pot industry. If that were to happen, expect Canada’s global advantage to fade quickly. Barring similar restrictions imposed on the country’s telecommunications and airline sectors, Canada’s cannabis industry would likely be quickly swallowed by U.S. firms. That prognostication is fraught with risks and assumptions, but it would do nothing to dispel Canada’s reputation as hewers of wood and drawers of water. “Legalization is huge. but the game has barely started and the stakes are extremely high,” said Michael Garbuz, chief executive officer of Vision Advisory, a cannabis consultancy, in an interview with BNN Bloomberg. So as many Canadians take a moment to celebrate, and perhaps enjoy this historic day here in Canada, it will be folly for the industry to remain complacent. Do you plan to buy marijuana now that it’s legal?